New Halo game? That can mean only one thing. New Halo action figures. These guys are the first line of McFarlane's Halo: Reach action figure series, and feature some of the Spartans making up the main cast of the game (except the lady one with the tiny arm). 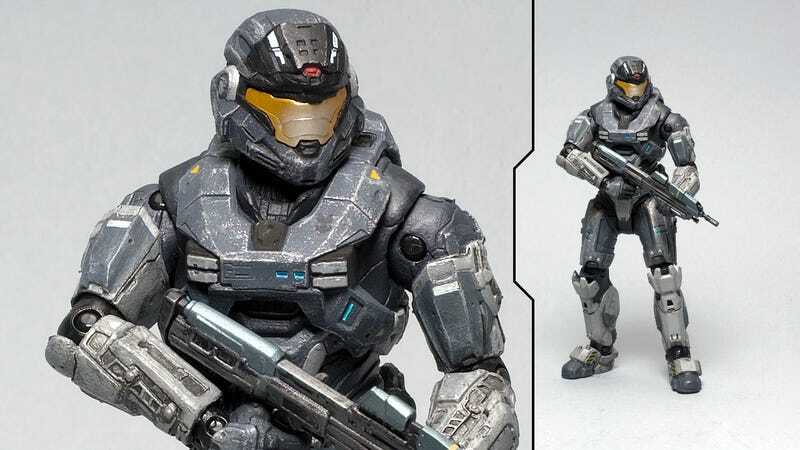 They're the same size as the company's other Halo figures - around 5 inches - and will be out in September. In addition to the figures pictured, there will also be Elites, Grunts, UNSC forces and some vehicles like a Ghost and a Warthog. Sorry about the differing quality of pictures; McFarlane felt the need to sow the pictures across the internet randomly, meaning some give you better shots than others.